Viski® lead-free crystal offers an unparalleled drinking experience. 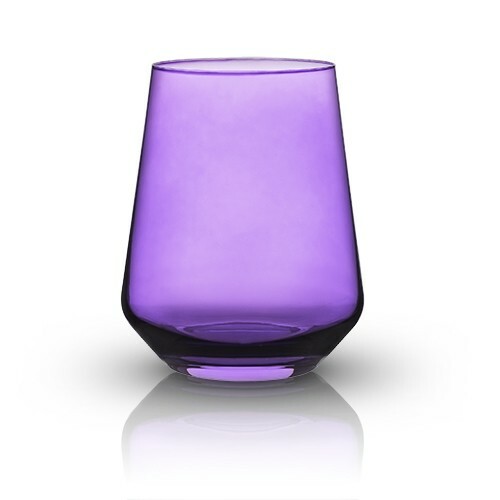 Its clarity, coupled with modern angles and a saturated amethyst tint, makes this 20-ounce tumbler a design statement in its own right. Spray color finish. "My favors order was truly a beautiful surprise for me -- even better than I imagined. Nice job!" Leslie T.